Korat is the commonly used nickname for the city of Nakhon Ratchasima. Download medium-resolution photos for this story our Facebook page. These photos are uploaded on Sundays, six days before the mission story is to be presented. Thailand Mission has 52 churches, with a membership of 15,385. With a population of 65,323,000, Thailand has only one member for every 4,245 people. The early work in Thailand was conducted mostly among the Chinese. The first Thai convert was a young man who was baptized in 1925 and later became the assistant business manager of the Bangkok Sanitarium and Hospital. Take the case of Yoyo, a high school teacher from India who worked in Thailand’s capital, Bangkok. His Filipino wife taught at a Seventh-day Adventist school in Korat, a city located a five-hour drive away. Their young son lived with her in Korat. Yoyo supported the arrangement at first. He made good money teaching computer classes at the private school in Bangkok. He also taught IT seminars on the side, bringing in even more money. 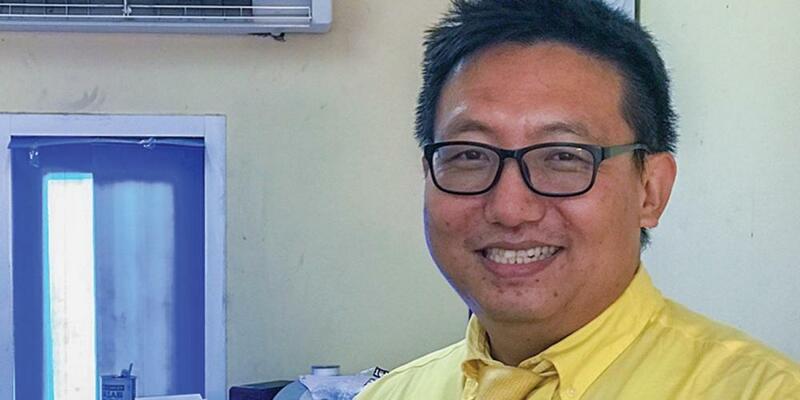 So, he decided to stay in Bangkok when his wife, Carla, announced that she had been offered a job as a kindergarten teacher at the Adventist International Mission School in Korat. But after a while, Yoyo realized that he didn’t like the messy marriage. Even though he had plenty of money, he didn’t like working five days a week in Bangkok and commuting to Korat on weekends. He dreaded the drive back to Bangkok on Sunday evenings. He decided to find a job in Korat. But for some reason he couldn’t find a job. Yoyo felt that he was qualified for nearly any job, and he was inundated with teaching job offers in Bangkok. But nobody gave him a job in Korat. Nothing worked out for three years. During that time, Yoyo began to think hard about his priorities. He had been raised in an Adventist pastor’s home in India but had started compromising the Sabbath after finishing college. He had moved to Thailand at the invitation of his sister, who lived there. Then he had met and married Carla, an Adventist woman from the Philippines. He attended church out of guilt as a pastor’s son, but he didn’t have any love for God. He quit his job in Bangkok and moved to Korat. For the first time, he was dependent on his wife’s income from the Adventist mission school. Yoyo prayed fervently for a job. Two months passed, and he grew increasingly discouraged. Then the principal of the Adventist International Mission School told Yoyo that the school had an opening for a computer teacher. Yoyo had just the right qualifications for the job. But, the principal said, the position was for an unpaid volunteer. Yoyo didn’t think twice. He gladly volunteered to teach. After three weeks, the school principal hired Yoyo to work full-time as the computer teacher and IT manager. Today, Yoyo is the sole breadwinner in the family. Carla quit her job after their second child was born and homeschools the children. The family has considerably less money than before, but Yoyo said he has never been happier. Part of this quarter’s Thirteenth Sabbath Offering will help the Adventist International Mission School construct a new campus. The new classrooms will allow the K-9 school to expand to the 12th grade and to accept more students. Thank you for your mission offering.